With a lot of attention on BVW and the Mets recent acquisitions, and even potential trade and/or extension talk surrounding the Mets front two of the rotation. Wheeler may actually be the one to find himself as part of a trade package before the start of the season or mid season trade deadline. 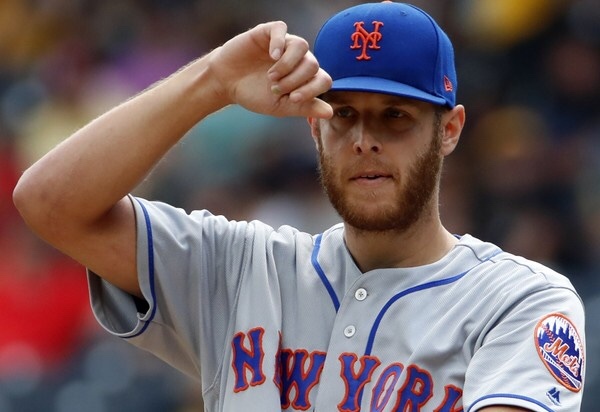 Wheeler will be a FA at the end of the 2019 season, and if the Mets plan to extend deGrom and Syndergaard it won’t be cheap and it may be in the team’s best interest to trade Wheeler. Possibly in a package with Andres Giminez and more to the Rockies for Nolan Arenado, that’s something I would look into. The Mets are actively looking to upgrade at CF so that may be another direction the team could indulge in, instead of possibly signing Pollock. Wheeler had a breakthrough season in 2018 and surely his trade value has risen through the past few years, so the timing seems perfect. While the Mets have already filled four needs this off-season, dealing Wheeler could easily give the Mets an upgrade at 3rd, CF, or the back end of the bullpen. If the Mets do decide to entertain this notion, I personally believe it’s important that it’s not for a one year rental, I’d much prefer a couple of high end prospects rather than a fill in. Either way, the Mets do need to figure out where Wheeler fits in, both short and long term.